The annual CoNetrix KEYS Conference provides a gathering place for users of Tandem software, and offers an educational forum on information security and technology. 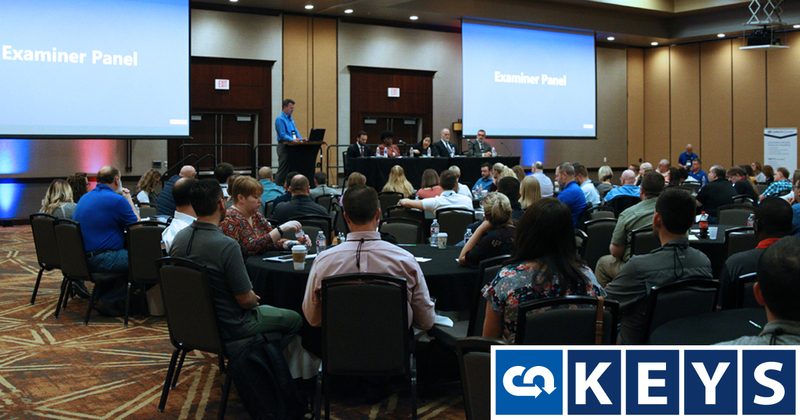 Attendees were able to engage in sessions covering a variety of hot topics, including mobile device security, cybersecurity, and phishing. They also had the opportunity to receive direct assistance from Tandem experts and information security consultants. Keynote sessions included: a presentation on the state of cybersecurity in the financial institution industry by Russ Horn, of CoNetrix; a fast-paced interactive session entitled "The Vendor"; and a conversation with examiners, featuring an elite panel of five examiners from the FDIC, OCC, Federal Reserve, NCUA, and Texas Department of Banking. Tandem Personal Training provided a place for Tandem users to develop their information security programs with the aid of onsite consultants and focused time. The "Tandem Shark Tank" track gave users a forum to talk with developers about the tools and pitch ideas for enhancing the software. For conference entertainment, attendees enjoyed a night at Pinstack in Allen on the evening of April 11th. Sponsors included Perch and ePay Advisors. "I absolutely love working with CoNetrix. I get great support from the staff. It's great to know our vendor actually cares about enhancing their tool to help the end user," said an attendee from a $600 million bank in Massachusetts. "KEYS is always such a positive event, and this year was no different. Our speakers were top notch, and I'd say we have some of the best customers out there. We came home with a lot of great ideas for what resources our customers need and we're excited to get started working on those," said CoNetrix KEYS Conference coordinator, Leticia Saiid. The FFIEC emphasizes the importance of financial institution staff training and knowledge, especially regarding IT and cybersecurity. 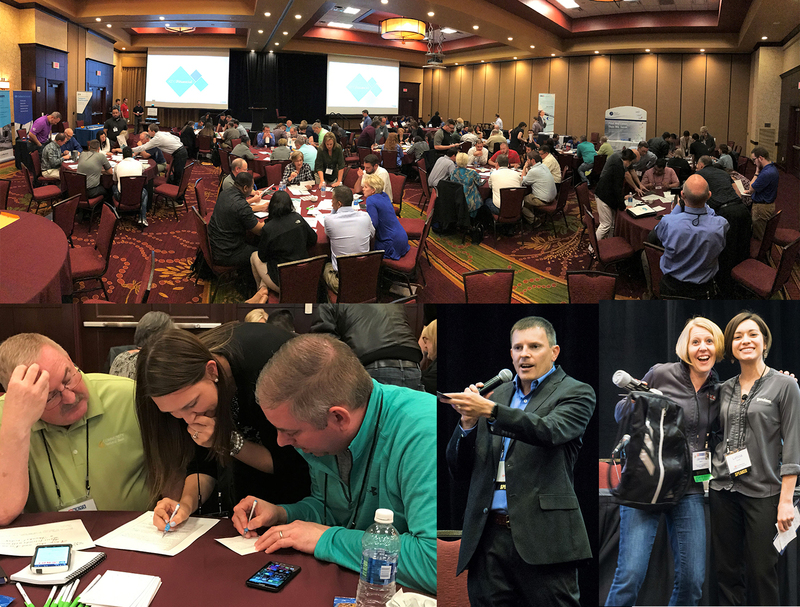 The CoNetrix KEYS Conference and others like it are an excellent resource for bank and credit union staff looking to achieve these recommendations and enhance their preparedness for the future of banking. About Tandem: Tandem helps financial institutions create and maintain a complete program to comply with GLBA and the Interagency Guidelines Establishing Information Security Standards. The simple, yet robust online platform includes efficient integrated modules, sharing information across compliance functions. Modules include Risk Assessment, Policies, Vendor Management, Business Continuity Planning, Identity Theft Prevention Program, Internet Banking Security Program, Audit Management, Social Media Management, Cybersecurity Assessment, and Phishing Simulator. Today, Tandem serves more than 1,400 financial institutions, with over 25,000 active users. CoNetrix was voted Best Computer Repair/IT in KCBD's Best of the West 2019 in Lubbock, Texas. Multiple companies around the Lubbock area contended for KCBD's Best of the West designation. Viewers of KCBD News Channel 11 cast their votes through kcbd.com by selecting their favorite company in each Best of the West category. "We are honored to be named as "Best Computer Repair/IT" for Lubbock and the South Plains region," said Chief Technology Officer of CoNetrix Technology, Rob Garrison. "I view this as recognition of our ongoing commitment to customer service and the quality of our business IT services." CoNetrix is a "family of technology companies." With roots dating back to 1977, CoNetrix companies include: nQativ, developers of the ActivityHD suite of accounting / business software (ERP) modules; CoNetrix Technology, providers of network consulting, managed services, and Aspire (secure cloud hosting); CoNetrix Security, providers of IT audits, penetration tests, network vulnerability testing, and information security consulting; and Tandem, developers of security and compliance software. CoNetrix Technology provides computer network support, IT managed services, and network design and implementation for businesses and financial institutions throughout Texas and New Mexico. With more than 100 years of combined network engineering experience, CoNetrix supports and manages a large variety of technology and security solutions for any business. To learn more about the IT services provided by CoNetrix Technology, visit https://conetrix.com/technology. CoNetrix was voted the Best Workplace and Best Computer/IT Services company by Lubbock Avalanche-Journal readers. Multiple companies around the Lubbock area participated in the Avalanche-Journal's "Best of Lubbock" campaign, and newspaper readers selected CoNetrix in these two top spots. "We are honored to be recognized for these awards," said CoNetrix President, Russ Horn. "It is a humbling experience to get to work with such talented team members." "CoNetrix Technology is proud to receive this award," commented Rob Garrison, Chief Technology Officer of CoNetrix Technology. "As with our entire company, we continually strive to deliver excellent customer service while providing reliable and secure IT solutions for our customers." CoNetrix has cultivated a unique culture fostered by a service driven, strategically agile, customer-focused team of remarkable people. When asked about the company culture, CoNetrix President, Russ Horn said, "Our company is built on the principles of integrity, passion and team spirit." He went on to say the employees are the reason for the company's success over the years; stating, "It is our amazing team that continues to design and deliver outstanding products and services that provide tangible value to our customers." To learn more about the career opportunities available at CoNetrix, visit https://conetrix.com/careers. CoNetrix is pleased to announce two candidates for consideration in the BankNews 2018 Innovative Solutions Awards. Boost Consulting by CoNetrix Security is a candidate for the "Consulting / Outsourcing / Training Solution." Boost Consulting services offer information security knowledge and expertise, along with tools that improve information security processes and controls to reduce the burden of maintaining compliance. Rather than outsource the entire role of an information security officer in a virtual ISO fashion, Boost ISO support services complement the information security capabilities a financial institution already maintains. Network Threat Protection by CoNetrix Technology is a candidate for the "Authentication / Fraud / Cybersecurity Solution." CoNetrix Network Threat Protection is a Managed Security Service (MSS) solution providing all of the IT security layers for a financial institution. These layers can be implemented individually, but are more effective when used together to provide full protection at a reasonable monthly cost. Layers include: Endpoint Protection, Email Protection, Internet Content Filtering, Dual Factor Authentication, Firewall Monitoring and Management, Intrusion Detection and Prevention, and Security Logging and Reporting. To read more about the entries, visit https://www.banknews.com/ISAEntries-2018. Voting begins August 15 and continues until September 28. CoNetrix has met all requirements and has been certified as a Cisco Premier Partner. The Cisco Premier Partner status identifies a company as having the know-how to support and transform customers' hybrid IT, and reflects the company's technology and business expertise to successfully design and deploy specialized Cisco solutions to business customers. CoNetrix is excited to receive Honorable Mention for Tandem Security and Compliance Software! The application was entered in the Management/ Operations/ Processing Solution category of the BankNews 2017 Innovative Solution Awards. In 2017, CoNetrix enhanced Tandem Security and Compliance Software by adding mobile access to the Tandem Business Continuity Plan module through the Tandem app. The Tandem Business Continuity Plan module has provided financial institutions online business continuity planning software to prepare for events such as natural disaster, biological pandemics, technological failures, human error, terrorism and cyber-attacks. The Tandem Business Continuity Plan (BCP) should help institutions avoid losses as well as return to normal operations as soon as possible if an event or disaster were to occur. In April 2017, the Tandem App now brings the ability to access that plan from any device. The Tandem App provides easy access to download the full plan as well as an emergency checklist and instruction manuals designed by the institution. Designate user roles so all employees can use it for receiving notifications via email, phone call, text or mobile notifications, while higher roles can use it to access important documentation. The Tandem App is free in the iTunes App Store or Google Play Store, usable by anyone currently subscribed to the Tandem Business Continuity Plan. Winners are announced November 1st on the BankNews website and will be highlighted in the November issue of BankNews Magazine. About CoNetrix: CoNetrix is a full service technology consulting, security and compliance firm with roots dating back to 1977. Founded in Lubbock, Texas, CoNetrix now serves customers across the U.S., providing a variety of technology and security solutions, including online security and compliance software, IT audits, security vulnerability testing, risk management, technology consulting, cloud hosting, and managed services. Security is designed into all of its offerings, from its software to its consulting services. CoNetrix specifically serves financial institutions – such as banks, savings associations, credit unions, and trust companies – as well as enterprises requiring a high level of security in their operations. To learn more about the BankNews 2017 Innovative Solutions Awards winning solutions, read the BankNews announcement here.